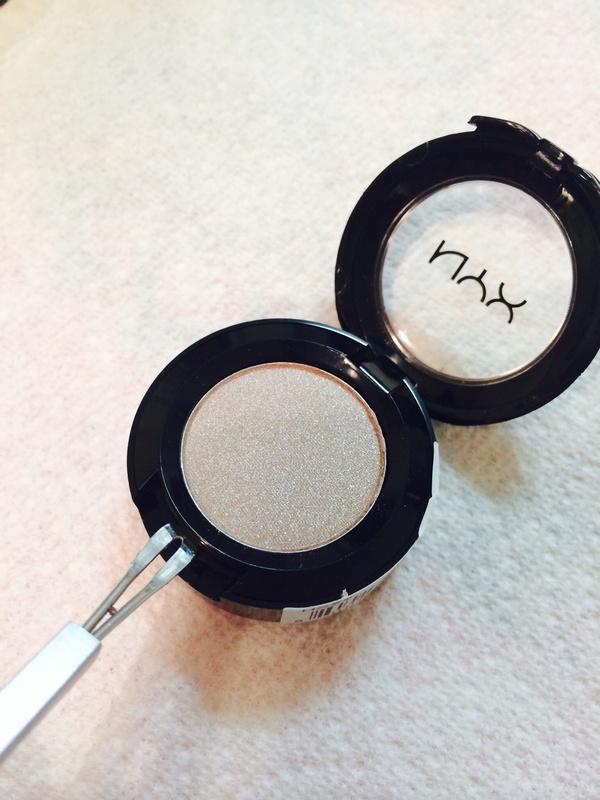 How to de-pot MAC and NYX eyeshadows! Easy photo tutorial!!!! 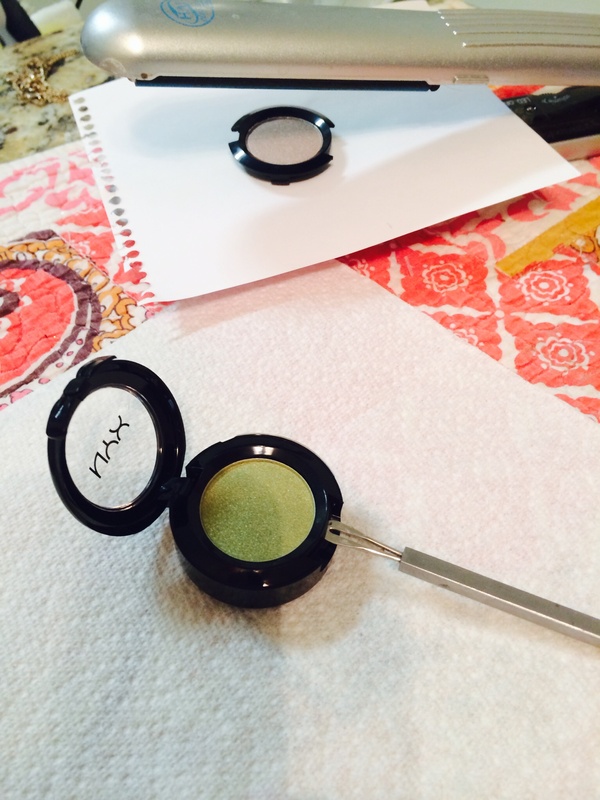 I’m a huge fan of de-potting all my makeup! 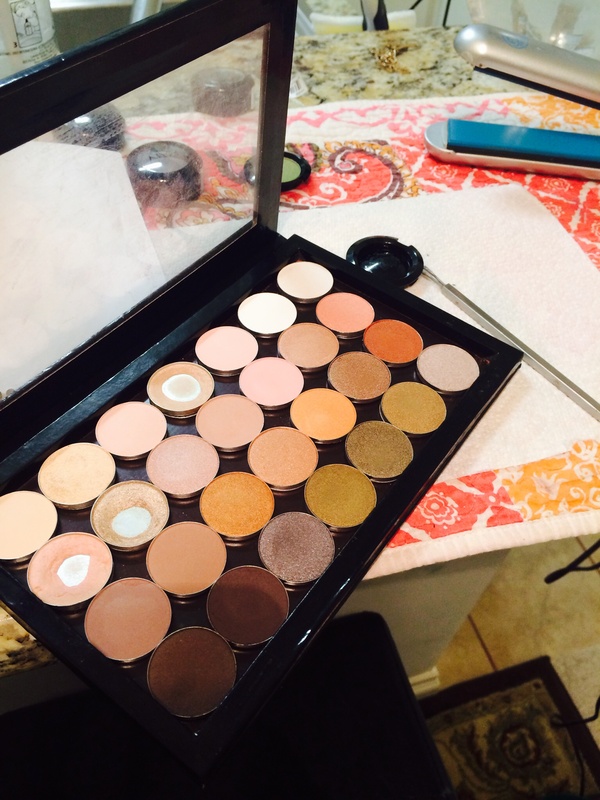 I like to have my products organized in Z-palettes and easy to see, easy to store and easy to pack. 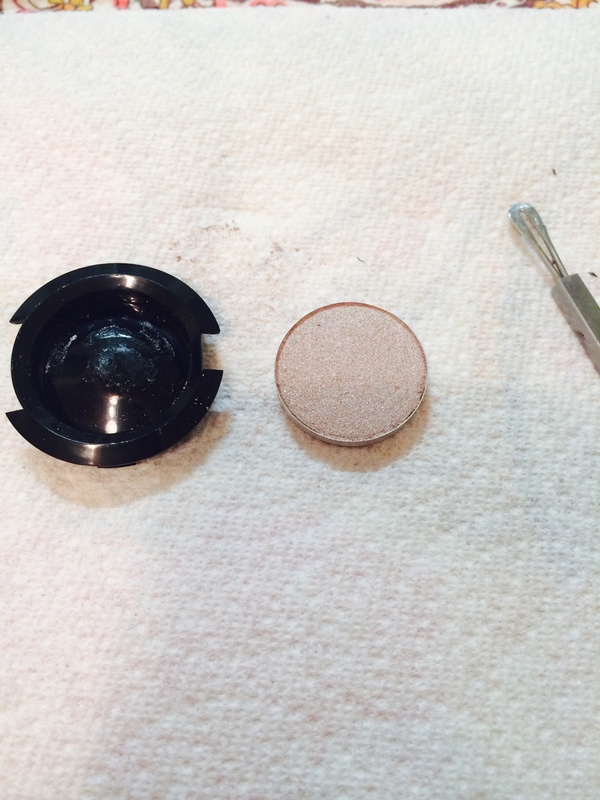 I started de-potting my MAC eye shadows about 15 years ago and have tried so many methods! Here is a step by step guide to the easiest de-potting method I’ve found!! 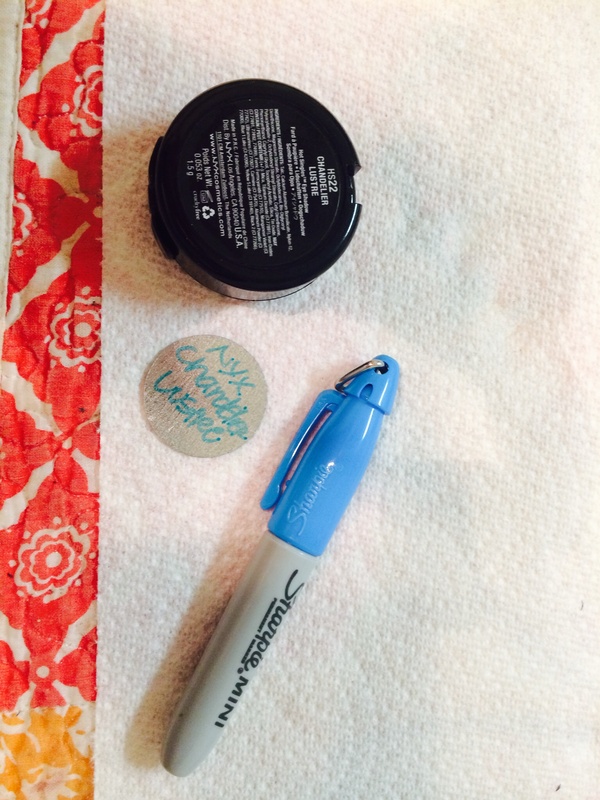 Here are the items you need for de-potting. 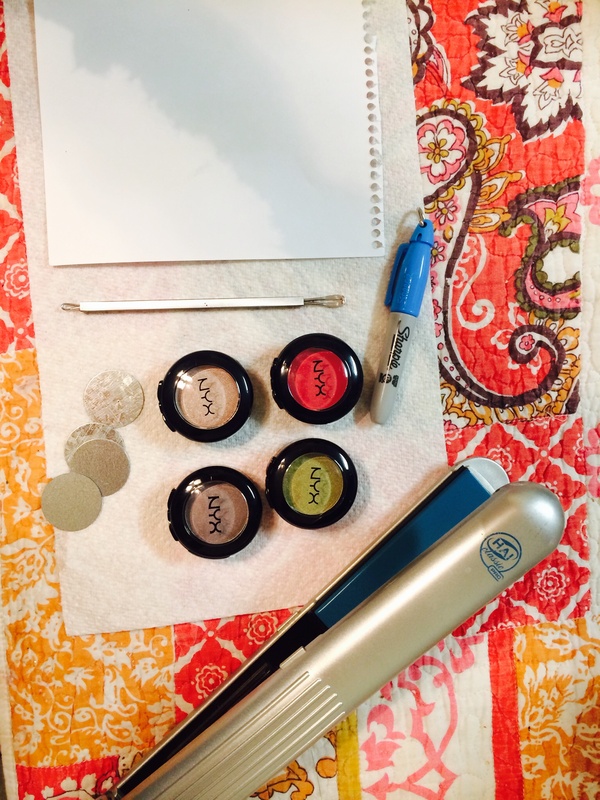 Eye shadows, paper towel, sheet of paper, metal tool (I use a comodone extractor) but a butter knife works too, sharpie, adhesive magnets, flat iron turned to high. 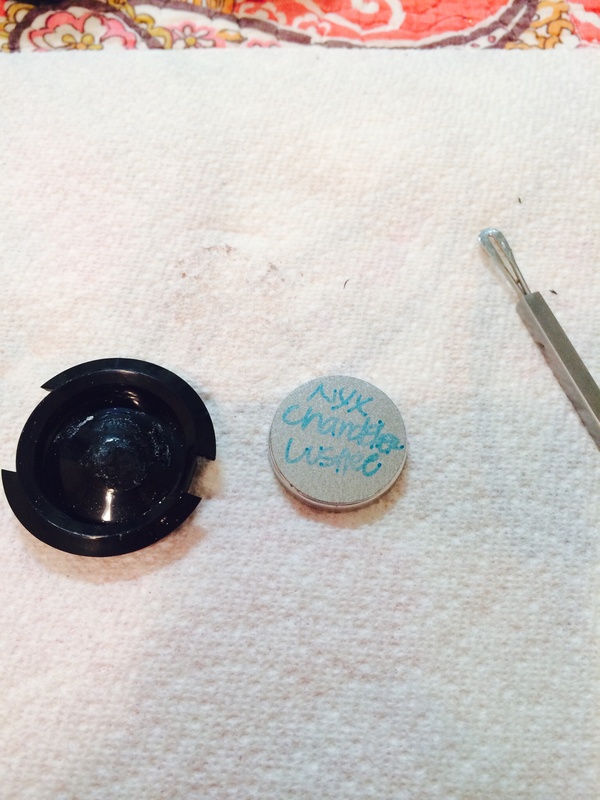 Use metal tool to gently pry the plastic inset out of the packaging. It should pop out fairly easily. 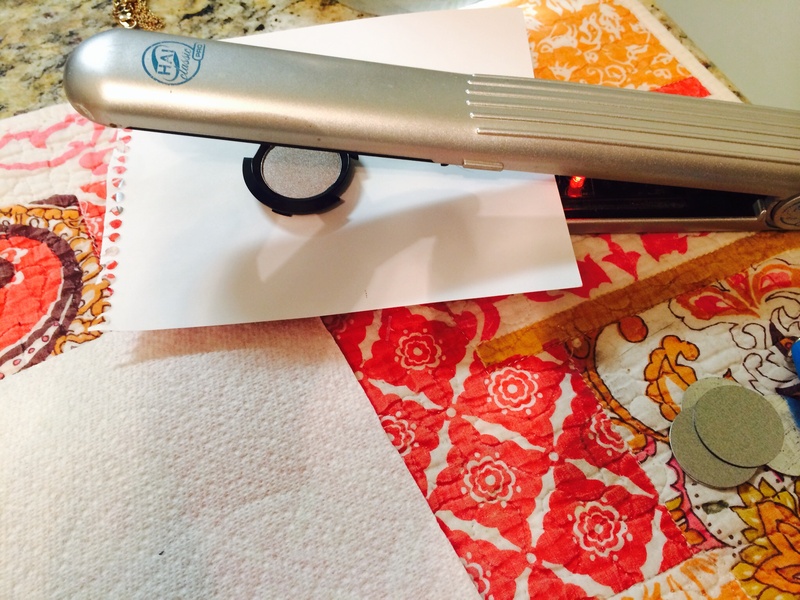 Place the piece of paper on your flat iron and then place the plastic inset on top of the paper. 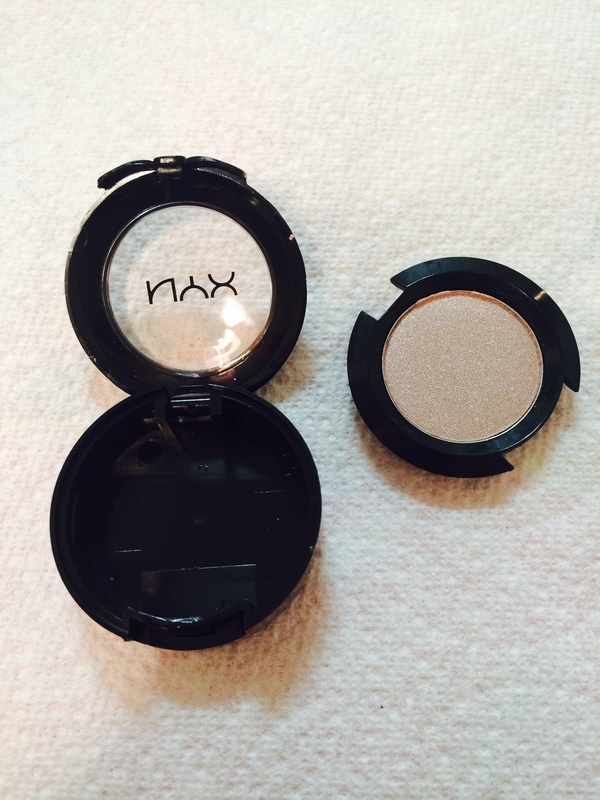 Let it heat up for several minutes while you pry another shadow insert out of it’s packaging. I typically find that 2 minutes is plenty of time, but the time may vary depending on how hot your iron is. 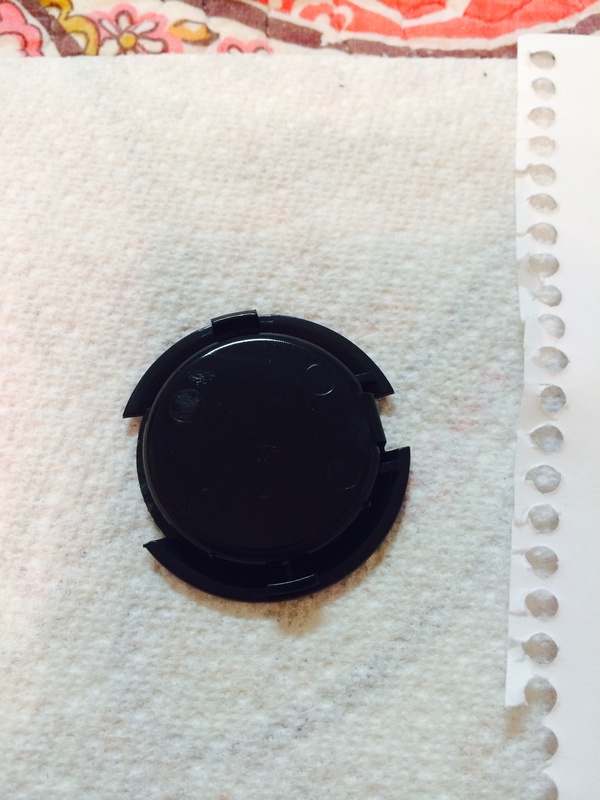 Take the plastic piece off of the heat and place it upside down on the paper towel. It will be hot so use the piece of paper it is sitting on to move it. 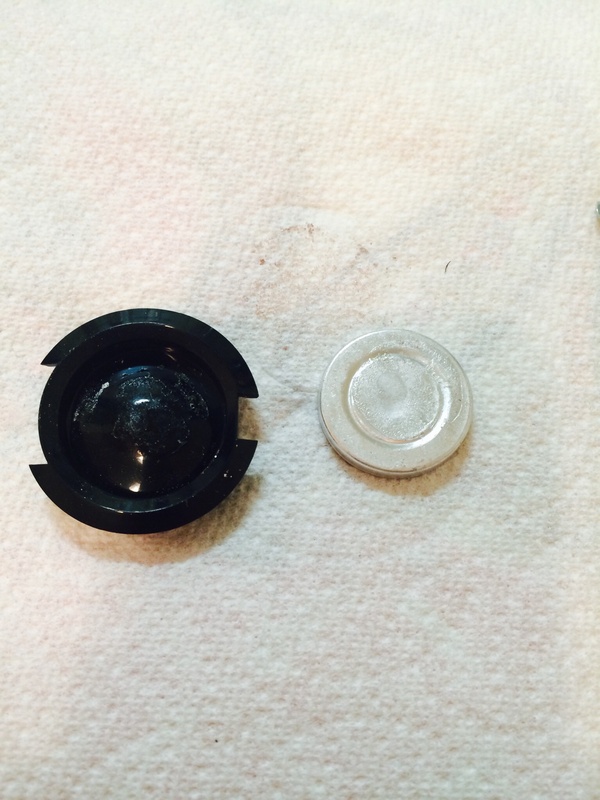 Then use your metal tool and press down in the center of the plastic where the glue is. It will be melted and should press into the plastic quite easily. If it doesn’t place it back on the heat for another minute. 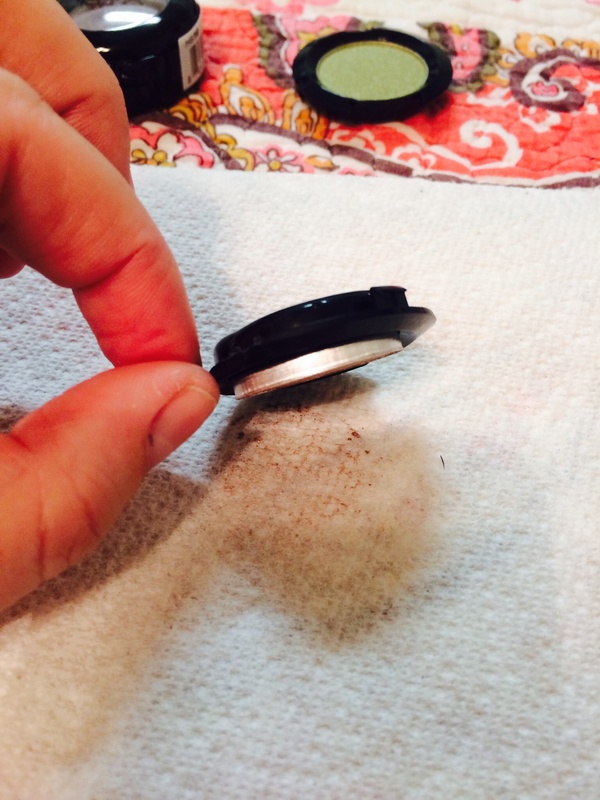 Once you have pushed down on the center you will see that the glue has released the shadow pan and it should come right out. 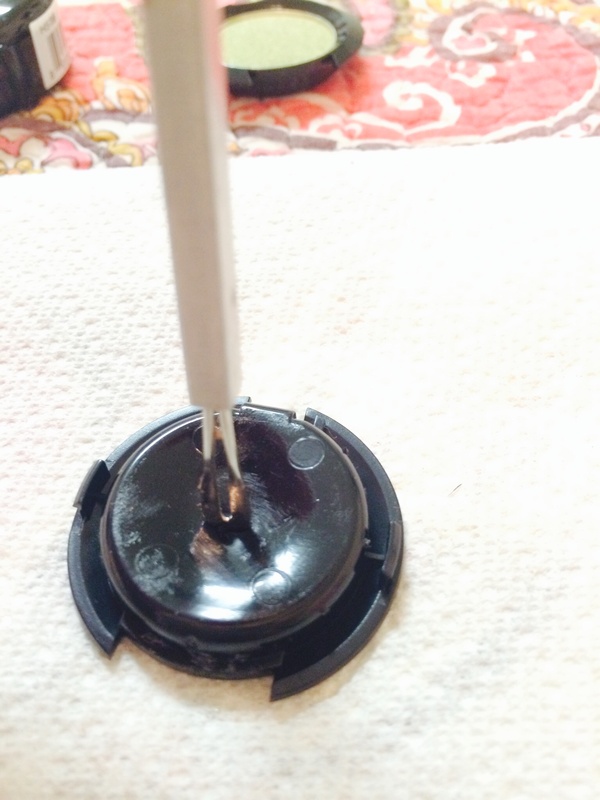 Use your sharpie to label the adhesive magnet and then attach it to the bottom of the shadow pan. Now you should have an perfectly de-potted shadow ready to join your collection in a beautifully organized Z-palette! Leave me a comment if you would like to see a video tutorial as well!! Next Learn how to highlight and contour from celebrity makeup artist Nicole Wittman!! !